Wayne Dalton’s ThermoTite® 800C Rolling Service Door is designed to meet the tough requirements of virtually any commercial or industrial application, with the added advantage of energy efficiency. The ThermoTite® 800C offers flexibility in substrate materials with choices of galvanized or primed steel, stainless steel or aluminum. This door is designed to withstand wind loads of up to ±20 psf standard, with optional wind load ratings of up to ±55 psf. 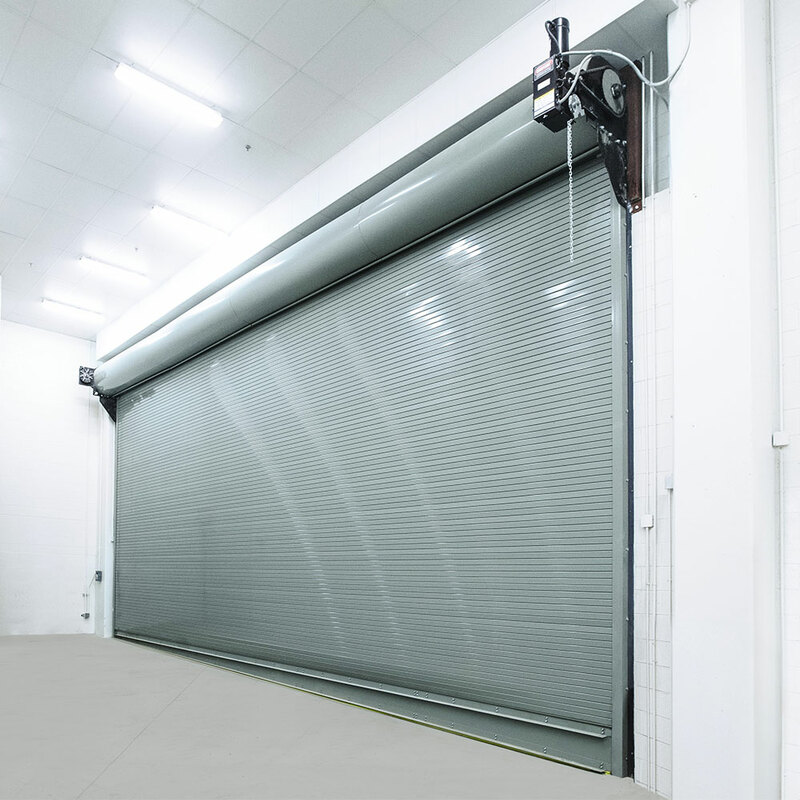 These insulated rolling service doors are composed of flat slats that provide a natural watershed, helping to reduce corrosion. Foamed-in-place polyurethane insulation with an R-value* of 7.7 fills the slat to enhance a building’s thermal efficiency. The slats are designed with free-acting interlocking joints that permit easy articulation when the door coils. Model 800C features a strong double-angle bottom bar designed for easy installation and does not require fasteners in the guide openings, so the bottom bar does not interfere with door operation. 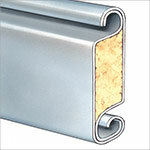 **Wayne Dalton uses a calculated door section R-value and U-value for our insulated doors.